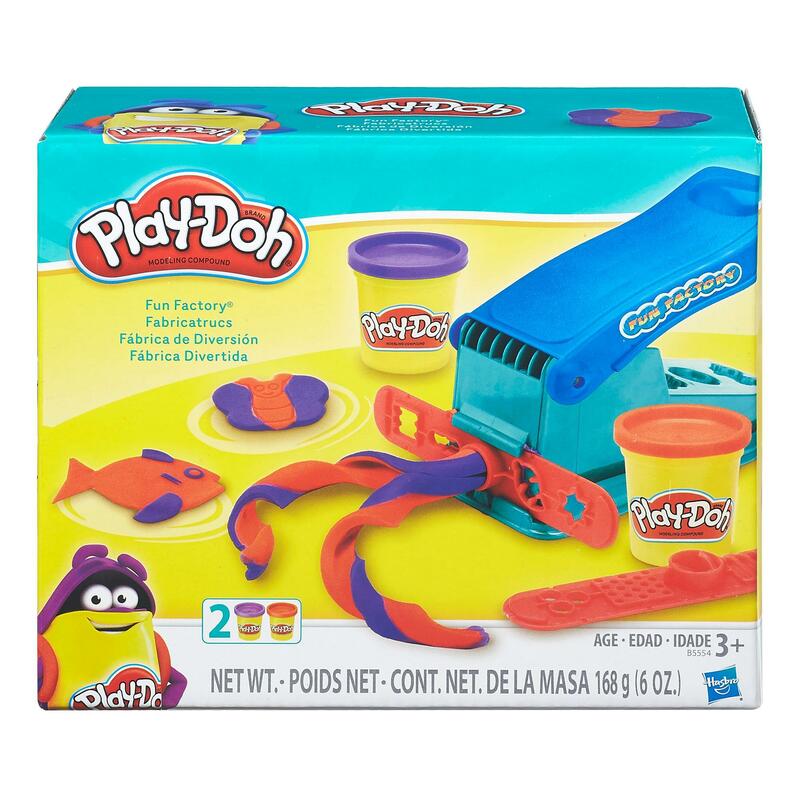 Shipping Dimensions: 8" x 6" x 3"
Jumpstart the creativity with the classic Play-Doh Fun Factory tool! This set lets kids explore their imaginations and have fun squishing and squeezing Play-Doh colours. 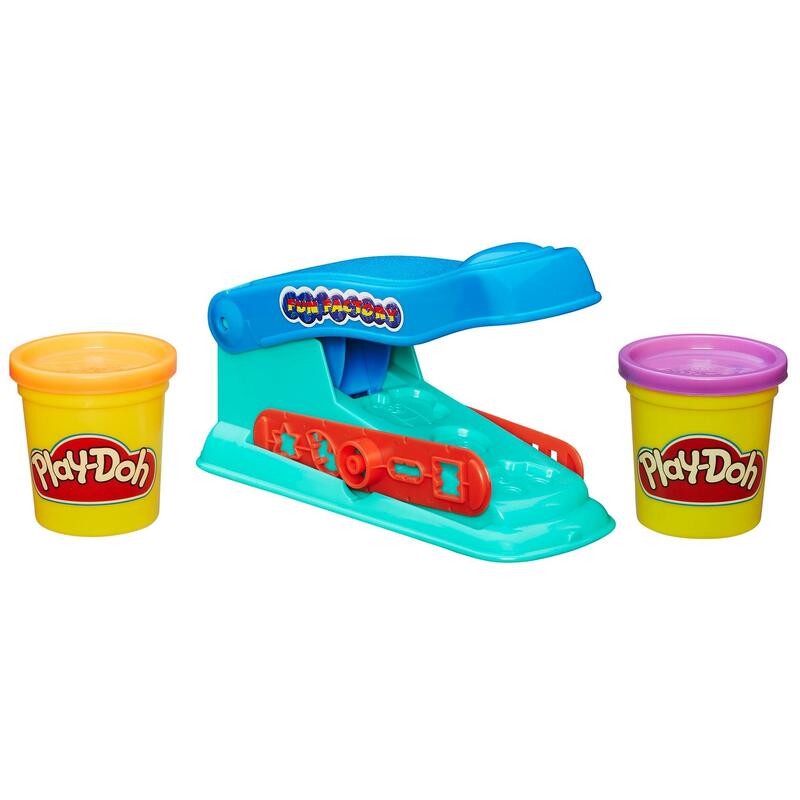 To play, simply load the Fun Factory set with a favourite Play-Doh colour, choose a shape on 1 of the 2 rails, and press the lever to squeeze out all kinds of silly and fun shapes!